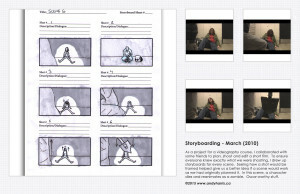 Storyboarding – March (2010) As a project for a videography course, I collaborated with some friends to plan, shoot and edit a short film. 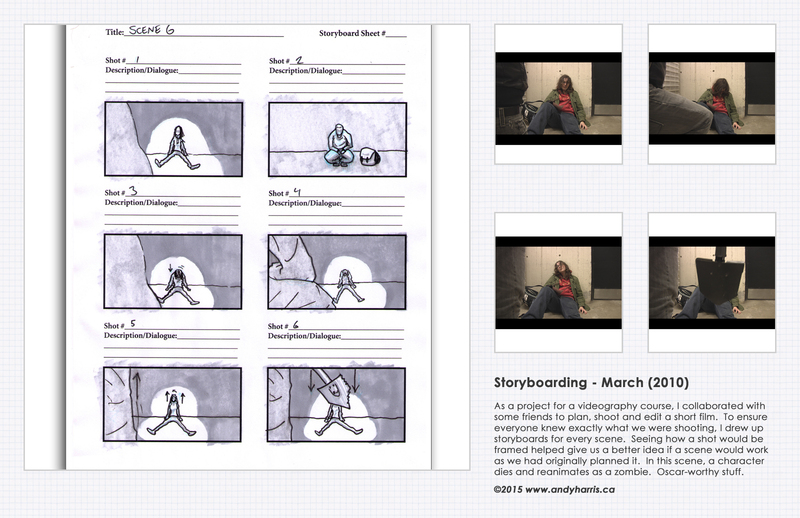 To ensure everyone knew exactly what we were shooting, I drew up storyboards for every scene. Seeing how a shot would be framed helped give us a better idea if a scene would work as we had originally planned it. In this scene, a character dies and reanimates as a zombie. Oscar-worthy stuff.